Late evening visit. Good to see the barmaid busy hard spiling, dead cask emptying and giving a peek at the very small square floor entrance opening to the cellar. Since my last visit a large array of keg fizz taps have been installed on the bar counter. Lunchtime, not busy but some good sounds on. Mad Cat - Golden India Pale Ale (previously Meaney's Golden India Pale Ale) 4.20 Nice hoppy bitterness. Stop 6 late afternoon. Nicely busy, helpful host. Ramsgate Brewery (Gadds') - Seasider 4.30 Just as l like it. Tuesday afternoon and a fair number of customers. A good number of people in but a nice relaxing atmosphere. I sat in the window and watched an argument between a motorist and a pedestrian both of whom seemed to think that they had the right of way. Pig & Porter - Fatal Flaw American Amber 4.50 Bright and fresh. Fairly busy, lots of craft keg beers on sale now. Absolutely packed with quizzers and not a sound until the answers to a round about Kent towns were read out. It seems that the quizmaster thought that Rye was in Kent. Definitely the most customers of any of the pubs that I visited tonight. Evening, few in and cool inside. Poor old barman was limping after a leg tattoo and had a swollen hand but was soldiering on. Not a Micropub as had recorded music playing tonight, sometimes hosts live amplified music and has food offerings beyond "dabbling in snacks". Busy for a Wednesday night. Really nice atmosphere. Goacher's - Silver Star 4.20 Really crisp and refreshing. 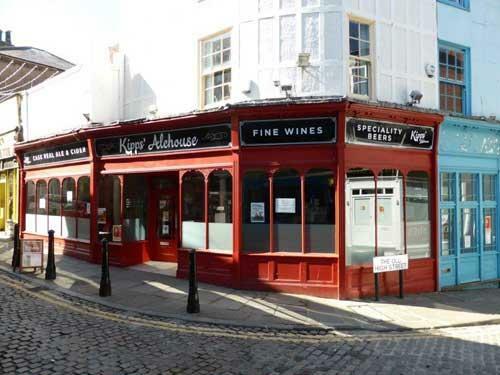 The pub is found in Folkestone, Kent, CT20 1RL. A very modern and "cool" new pub. 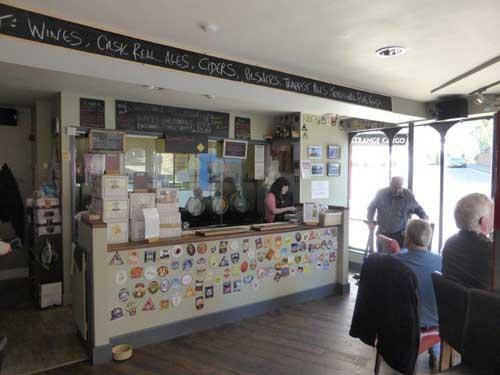 Has become contentious as to whether it is a Micropub or not but it has been recognised on the Micropub Association website as one even though it is naturally disqualified by its enhanced food offering and amplified music. The real ales are kept on gravity stillage behind the bar counter in a chilled glass fronted cabinet with accommodation for 2 tiers each for 5 casks. Offering at least three real ales served straight from the cask. Ciders dispensed from boxes on the bar counter. Bottled beers including Belgian Trappist. A whole number of wines, supplemented with Prosecco, Sherry and Port. Occasional live music events. We have visited this pub 18 times, seen 43 different beers and tried 17 of them.